Killed on 30th September 2000 at Netzarim Junction. 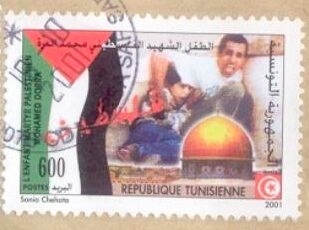 This image of Mohammed cowering behind his father has been used around the world. It has portrayed Israel as heartless killers of Palestinian children, causing the western world to turn against Israel and the Muslim world to rise to avenge the blood of this young martyr. However, although Israel’s culpability has been assumed it has never been proved. The IDF was (too) quick to apologize for the fatality. The Palestinian Authority refused to allow an autopsy to be carried out and refused to co-operate in any investigation. So what really happened? Nahum Shahaf, a physicist working in the optical intelligence department of the IDF collected and analysed all the available material that was shot on that day and cross checked events shot by different cameramen, from different angles. This was cross-checked against the testimonies of cameramen and other witnesses. Shahaf’s testimony was strong enough to enable charges to be pressed in the French courts against France 2 TV station for their use of the story in their report, "The Death of Little Mohammed." There were around twenty cameramen present at the event, but the story of Mohammed’s death hinged on the testimony of just one, Abu Rahma. He later denied claiming that the IDF killed the boy and gave conflicting accounts of the alleged shooting of the ambulance driver who came to attend the boy. The collected raw footage verified the testimony of the IDF soldiers that the IDF position was surrounded and fired upon from three sides at various times during the day. It contained no evidence to confirm Mohammed’s father’s claim that he was shot in the back by the IDF. The unedited footage shows "victims" of IDF shooting in close proximity to crowds of onlookers and passers by who show no fear, going about talking and smiling. One victim is seen with blood running from a head wound, something which would have not been physically possible after suffering a bullet wound to the head, and he is running towards the junction – not towards cover. UN and Red Crescent ambulances arrive to assist him and he runs backwards, raising his hand as if under fire. However none of the people near him flinch or take cover. In the area that is supposed to be under heavy IDF fire there is an audience of close to two hundred men, teenagers and children, in three rows, with the front row sitting on the kerb. Meanwhile, teenagers ride past on bicycles. In another section of footage, people can be seen acting out taking cover, while behind them there are men and children walking around and smiling, along with a Palestinian cameraman. In other shots there are rock throwing teenagers and armed terrorists, some uniformed, all aiming at nothing in particular, as there is no IDF presence. Another investigation was carried out, which included building a replica of the location on an IDF firing range and shooting at the location of the fatality from the relevant angles with various weapons. The implications of this investigation are even more chilling! 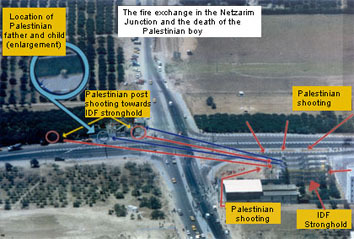 The line from the IDF position to the place where Mohammed Al Dura died was at an angle of thirty degrees to the wall. 1 Mohammed and his father would both have been protected from IDF bullets by the concrete filled barrel. 2 Shots from the IDF position would have produced glancing holes in the wall; not the clean round holes that were found. It is known that the bullet which killed Mohammed passed straight through his body and into the wall. The line of this shot must have come from across the road, in the trees, nearly at right angles to the wall. The video footage showing the moment Mohammed was shot goes fuzzy, as if the cameraman was startled, and the sound of an automatic weapon close to the camera can be heard. This confirms that the gunman was firing from close behind the cameraman. Since the IDF forces were all pinned down in their stronghold, the killer must have been a Palestinian. The killing must have been the cold blooded creation of a "martyr" for world media consumption ! The story of Mohammed's death served to inflame passions against Israel around the world and to give momentum to the Palestinian Intifada, which had started that month. The key image has since been recycled in various media, including TV advertising exhorting Palestinian children to seek martyrdom. Those concerned about the appalling way in which the world's media have handled the conflict in Israel and desperate to see an authoritative challenge will be glad to see the Second Draft site. The site is produced by communication professionals and gives analysis of the issues and a glossary of terms. This will help you to understand the issues behind the media war against Israel. The France 2 story was exposed as a fraud by an appellate court in Paris in 2008. The appellate court overturned a lower court’s libel ruling against Internet activist Philippe Karsenty who wrote on his personal website that the al-Dura story was a hoax. The appellate court viewed France 2’s unedited footage from the scene. That footage showed al-Dura moving after the France 2 cameraman had declared him dead. The footage led the court to overturn the decision of the lower court that had found Karsenty guilty of libel. Apparently the same French establishment that now declares solidarity with France’s Jews is unwilling to part with the al-Dura hoax that incited the spilling of so much Jewish blood in the past decade. Last month, France’s Supreme Court overturned the appellate court’s ruling and ordered it to retry the case. As far as the Supreme Court of France is concerned, the appellate court had no right to ask France 2 to provide evidence that its story was true. According to the court, the unedited footage which proved the story was a blood libel should never have been admitted as evidence. The truth should never have been permitted to come to light. 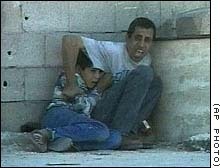 It’s been thirteen years since the Mohammed Al-Dura incident took place at Netzarim Junction in the Gaza Strip. 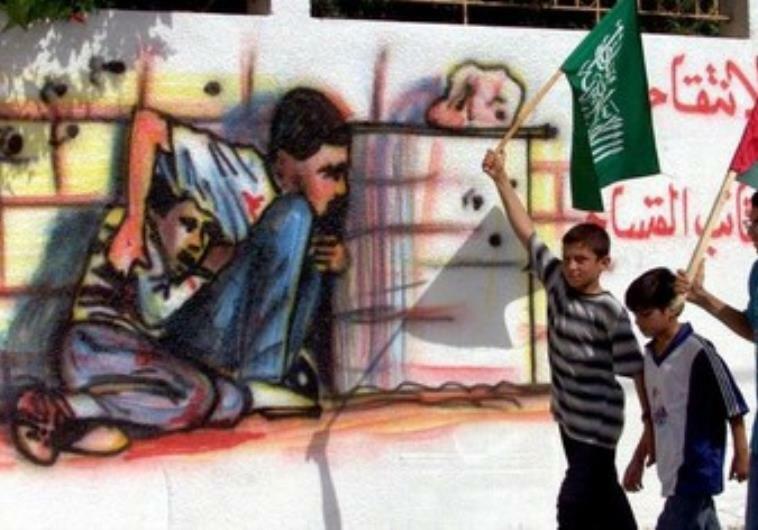 Thirteen years since the image of a Palestinian boy, allegedly killed as a result of IDF gunfire, inflamed the Arab and Muslim world, egged on by a media only too willing to accept Palestinian claims. Thirteen years of investigating and campaigning for the truth of what really happened on that day. Contrary to the report’s claim that the boy is killed, the committee’s review of the raw footage showed that in the final scenes, which were not broadcast by France 2, the boy is seen to be alive. The review revealed that there is no evidence that Jamal [Al-Dura's father] or the boy were wounded in the manner claimed in the report, and that the footage does not depict Jamal as having been badly injured. In contrast, there are numerous indications that the two were not struck by bullets at all. The review showed that it is highly-doubtful that bullet holes in the vicinity of the two could have had their source in fire from the Israeli position, as implied in the France 2 report. The report was edited and narrated in such a way as to create the misleading impression that it substantiated the claims made therein. Over time numerous additional inconsistencies and contradictions have come to light, and question marks have been raised regarding nearly every aspect of the report. The report relied entirely on the station’s local stringer, without additional evidence for his claims, and this despite the fact that there were numerous other media crews on the scene. The stringer’s various claims regarding the affair in the years since the incident have been characterized by repeated contradictions and falsehoods.